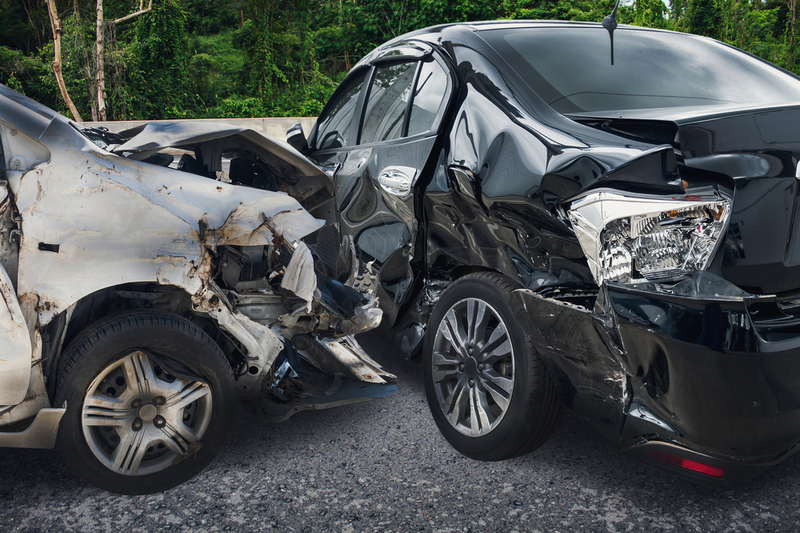 When you are involved in a serious car accident, the aftermath can be devastating. Besides dealing with injuries and property damage, you may be forced to lose time at work, and even lose the ability to live your life free of pain. At Haug Law Group, we represent people in Atlanta that have been injured in a variety of types of motor vehicle accidents in order to ensure they receive the compensation they are legally entitled to. If you or a family member has been injured in a Car accident, you can’t rely on an insurance company to make things right. Insurance companies are in the business of making money, and they don’t maintain their success by paying out every claim they receive. We are here to help you deal with the insurance company and, when necessary, fight for your rights in court. Contact the car accident attorneys at Haug Law Group today. Our firm helps our clients hold negligent drivers accountable for their actions. We will seek the maximum amount of compensation a victim is entitled to under state law, even if the at-fault driver was underinsured or uninsured. We are here to assist victims of drunk driving accidents, distracted driving accidents and more. We understand the emotional toll an Atlanta car accident can cause. That is why it is our promise to you to assist your family in any way we can. Whether you need help fighting an insurance company or retrieving compensation for past and future medical bills, we will use our experience and knowledge to get you what you deserve. It is our goal to intercede on behalf of any person in Atlanta that has been injured as the result of someone’s negligence or error. When you are involved in a car accident, the financial difficulties you immediately face can be devastating. From replacing lost property to paying for medical bills, you don’t have time to wait for an insurance company to come through. We understand the financial strain of an automobile collision, and that is why your initial consultation will be held at no cost to you or your family. You are already experiencing difficulty, you shouldn’t have to pay out of pocket for advice and guidance. At Haug Law Group, our attorneys get paid when you get paid. Working on a contingency basis allows us to help people when they need it most. If you or a family member has been hurt in a car accident, reach out to our team. Everything you discuss with our car accident lawyers is confidential. When you call us, we will review the details of your case and explain how we may move forward with your case. While we hope you hire our firm to represent you, we invite you to talk to multiple attorneys to find the best fit for you and your family. There is no obligation to hire our car accident lawyer after your free initial consultation. Whether your Atlanta car accident was the result of a drunk or distracted driver, rush hour traffic or a vehicle malfunction, you need an experienced car accident attorney on your side. An insurance company does not have your best interests in mind; never accept an initial settlement offer without first speaking to a qualified and competent car accident lawyer. Even if you aren’t dealing with medical issues today, you never know what tomorrow can bring. Once you accept an insurance settlement, your case is over. If you begin to experience symptoms weeks or months from now, you want to know that your medical bills and lost wages will be covered. If you accept a settlement now, it may be too late to seek compensation in the future. Call Haug Law Group now for a free case evaluation (844) 428-4529 or complete our online contact form, and a member of our team will be in touch. You deserve aggressive representation from an attorney who will treat you fairly and with respect. Reach out to our team today. It’s easy to access a copy of the police report documenting your car accident in Atlanta. You can arrange to get this document at a precinct, or in many cases they are available online. If you are interested in obtaining the police report to investigate your legal options after the accident, contact us today.We can get you that police report along with a free consultation to discuss your injuries, your potential case, and what path forward you might like to take. One of the most overwhelming moments of a personal injury or car accident lawsuit is in the very beginning.Having a solid plan from the start can help you pursue the legal options for getting a settlement that will have the best impact on your life and your individual situation. If you have any further questions, please give us a call at 1-844-428-4529. That is 844-HAUG LAW. We look forward to speaking with you. When a car accident happens in Atlanta, the most important first step is to make sure that everyone is okay. If anyone involved needs medical attention, call 911 and attend to the first aid needs of the injured person. If no one is hurt, it’s important to call the authorities and have an officer come and investigate the scene as an independent, objective witness to determine liability. You’ll also need to exchange personal information with the other drivers involved and contact your insurance company so that a claim will be opened. Once your claim is opened, the next important step to contact an attorney to evaluate your scenario. It’s possible you’ll be in a position that you’ll be pursuing a lawsuit. It’s also possible that you’ll need to protect yourself from a potential lawsuit. At Haug Law Group, attorney James Haug is experienced in representing victims who suffer from serious injuries as a result of serious motor collisions. People often suffer from painful injuries in a severe traffic collision. Sometimes these injuries can occur disability from working which can significantly affect someone’s lifestyle and other responsibilities. The team at Haug Law Group truly understands the financial strain from medical bills and other expenses that can occur when someone is simply trying to recuperate from an accident. If you’ve been in an accident, our legal experts will advise you of your rights in a legal claim, especially with your insurance company. It’s important that injured drivers involved in a motor vehicle collision do not compromise their claim for compensation for any reason. Note that insurance adjusters work to protect insurance companies and want to pay individuals the least amount possible. In a crisis like this, the last thing you need is your insurance company trying to pick holes in your claim and look for any and every reason to deny you the compensation you deserve. When you choose to approach an insurance adjuster with your claim, allow us to guide you through the process and properly represent you to strengthen your case and ensure the compensation you deserve. In Georgia, it is important to have a basic understanding of automobile liability coverage. Automobile accidents, although rare in a driver’s lifetime, do happen and are something we must all deal with accordingly. Taking a proactive approach to understanding the necessary material within Georgia automobile insurance is beneficial for all Georgia motorists. In the typical automobile liability policy issued in Georgia, the insurer (e.g. State Farm, Allstate, etc.) agrees to pay on behalf of the insured driver all sums which the insured shall become legally obligated to pay as damages because of bodily injury, sickness or disease, including death resulting therefrom and because of injury to or destruction of property, including loss of use thereof arising out of the ownership, maintenance or use of the owned automobile or any non-owned automobile. GA Automobile Insurance Law § 10:1 (2014-2015 ed.). If you have purchased an automobile liability policy liability, this essentially means that your insurance company agrees to pay for any harm that results if you are found to be the “at fault driver” in an auto accident. The insurer also has a “Duty to defend”, which means the liability insurer agrees to defend the insured in any action brought against its insured, which is covered under the terms of the policy. Id. The insurer is contractually bound to represent its insured in accidents involving the insured automobile that causes bodily injury or property damage. However, where a judgment is entered against the insured for injuries covered in the policy, the insurer is only obligated to pay that judgment up to the policy limits. Id. The insured driver must pay any amount of money that is entered in the judgment above the policy limits. For example, if a driver has a policy limit of $25,000 covering personal injury, and a court enters a $30,000 judgment against the driver for liability in an automobile accident, the driver is then responsible to pay for the additional $5,000. When discussing Georgia liability insurance it is important to mention “stacking.” A judicially established rule that governs stacking mandates that liability insurance “follow the car” (insurance follows the car rule). This means that the coverage purchased for the automobile will follow the car regardless of who may be driving. Ga. Automobile Insurance Law § 15:1. The widely accepted judicial rule still may be altered by the terms of individual policies and is also subject to three statutory exceptions: (1) the automobile dealer’s exception; (2) rental car agencies; and (3) insolvent liability insurers. These three exceptions change the order of stacking liability coverage in applicable situations. Id. Within insurance law, the term stacking determines the priority of payment of insurance benefits where two or more insurers provide insurance coverage for the same insured event. Id. The term stacking comes from the idea that the primary policy forms the base and the other policies if you have multiple cars, are “stacked” on top of the primary policy. Remember, the liability insurance coverage follows the car, so the primary policy covers the automobile being operated at the time of the incident out of which the liability arises. Id. at 15:2. One distinction in automobile insurance that needs to be explained is the difference between liability insurance and uninsured motorist coverage (UM). Uninsured motorist insurance is beneficial to purchase because there many Georgia drivers operating their vehicles without insurance coverage. UM coverage applies if you are (1) not the at-fault driver and (2) the at-fault driver is uninsured or underinsured. In Georgia, stacking can also apply to UM insurance coverage. Again, stacking is a potential option if you obtain insurance for more than one vehicle and you wish to combine the policies to cover the total dollar amount caused by the incident. In a situation where you are involved in an auto accident with an uninsured driver, and you are not found to be the at-fault driver, UM stacking would apply. As an example, if you have two cars, and your UM limit is $30,000, you could theoretically combine your UM coverage for a total of $60,000. The benefit of stacking with UM coverage is that if you are involved with an uninsured motorist, you can combine your coverage to increase the payment limits of your auto insurance. The downside to stacking is that inevitably your insurance rates will be raised because insurance companies need to offset the risk of paying higher disbursements. Additionally, stacking cannot be used to cover property damage expenses, and can only be used for bodily injury damages. As a Georgia motorist, the minimum limits of liability coverage required by law are bodily injury liability of $25,000 per person/$50,000 per occurrence, and property damage liability of $25,000 per occurrence. The majority of insured drivers in Georgia only obtain the minimum requirements of liability insurance. No one wants to imagine the worst case scenario, but driving an automobile is one of the most dangerous activities a person can engage in. It may not be necessary to seek legal counsel if you are involved in an auto accident, but it can be helpful to gain a foundational knowledge of Georgia insurance laws. At Haug Law Group, our car accident lawyers can help to provide an understanding of insurance liability coverage which enables drivers to make intelligent decisions if misfortune occurs on the roadways.